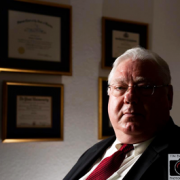 Former President, Attorneys’ Title Insurance Fund, Inc. First-time home buyers are a unique group: at once wide-eyed, nervous, anticipatory and elated at the prospect of actually owning a place to live. They are generally younger and earn less than those trading one home for another, and they spend an average of $40,000 less on their new homes than their more experienced counterparts. The good news is that today’s first-time buyers tend to be better educated than their parents about the home-buying process, thanks to the Internet, books, finance magazines and newspaper real estate sections. Despite all this available knowledge, first-time buyers can make costly mistakes. Here’s how to avoid them. A down payment- anywhere from 5% to 20% of the home’s purchase price. Property taxes, which average around 1.5% to 2% of a home’s purchase price. Homeowners’ insurance and Private Mortgage Insurance (PMI), which is required by lenders if your down payment is less than 20% of the purchase price. Closing costs, which include points and other fees charged by the lender and can add up to 3% of the amount you borrow; title insurance, which can range from a few hundred dollars to more than a thousand, depending on the purchase price of your home; inspections, $200 to $500; and other miscellaneous fees. Maintenance. Varies year to year, but expect to spend about 1% of the purchase price annually on maintenance and repairs. Finally, don’t forget that you’ll still want to spend money after the closing on things such as new furniture, landscaping and your inaugural house warming party. Find a lender and get pre-approved. It’s common for first-time buyers to find a home and fall in love with it, only to learn later that they can’t afford it. This can be avoided by getting true pre-approval for a mortgage, which is more than a letter from your lender claiming “pre-approval.” True pre-approval means assembling all the documentation you need for a mortgage commitment; once a home is found, the only thing left to do is get an appraisal. At this point, you also need to determine which type of mortgage makes sense for you: Fixed-rate or adjustable-rate? 15-year or 30-year? Once you’ve researched all the options, consult your real estate attorney or another trusted source and discuss those options until you are comfortable in making a decision. Assemble your team. Once you pre-qualify for a loan, contact an attorney who specializes in residential real estate, and begin your search for a real estate agent, an inspector, an appraiser and a surveyor. Get recommendations from friends, co-workers and others not connected with the deal. Interview several, and pick one whom you have confidence in who has dealt in the county where you are looking to buy. Ask for references. In each instance, ask what the fee is and what specific services it covers. Your real estate attorney will head up your real-estate team-reviewing your contract, ensuring all provisions and contingencies are in your best interest, prepare or review the closing statement and other closing documents, and let you know about seller contingencies that affect your interests. Take your time and shop around. One of the biggest mistakes a first-time home buyer can make is acting on impulse-even in a hot market. Buying a home should be an ongoing process and not something you do in two weeks. Look at many homes, including an assortment of types of homes. When you view a property, list the positives and the negatives. Talk to the neighbors. Visit the neighborhood at various times of the day and on various days of the week. Consider the qualities that make a neighborhood desirable, such as ample street lighting, sidewalks, parks or playgrounds and little through-traffic. Another consideration is the home’s proximity to your office, grocery stores, restaurants, safe and reliable public transportation, medical services, and your kids’ daycare or school. Be objective-and resist the powerful force of curb appeal, which can leave a buyer emotionally vulnerable. Make an Offer. Once you find the house you want to call home, you’ll make an offer by submitting what’s called a “contract for purchase and sale” or “purchase and sale agreement,” usually supplied by the real estate agent. Don’t sign anything before your attorney has reviewed it and ensured that all the provisions are to your benefit. Remember, once the contract is signed, you’re legally bound to the terms. The document spells out the terms and conditions of the purchase-from the purchase price all the way down to who pays the utilities until you take possession of the house. The contract is also the blueprint or road map for the closing on the property – if an issue is not spelled out in the contract, then it’s not likely it will be addressed at the closing. However, don’t think the pre-printed terms of the contract are written in stone. Rather, it’s how you and the seller begin the process of negotiating the terms of the contract that both of you will have to live with. Make sure you understand and are comfortable with all aspects of the contract-you will likely be living with it for a long time. Acknowledged as the Florida real estate expert, Attorneys’ Title Insurance Fund (The Fund) has been in business for more than 50 years and supports a network of more than 6,000 attorney agents statewide who practice real estate law. Based in Orlando, the Fund (through our business partner Old Republic National Title Insurance Company) underwrites more than 300,000 title insurance policies for owners and lenders in Florida every year. For more information, please visit their website. 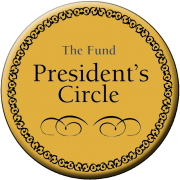 The Attorneys’ Title Insurance Fund awarded it’s prestigious President’s Circle Award to Anderson & Brodersen. P.A.